Having access to a source of hypnotherapy scripts online is always useful for any hypnotherapist, even after years and years in practice because people present with new problems all the time. 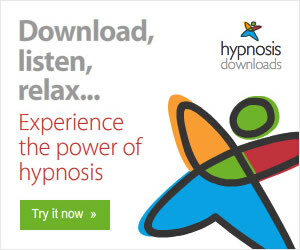 I find the Hypnosis Scripts service on Hypnotic World to be invaluable. 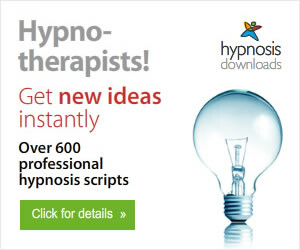 Hypnotic World's subscription service enables users to access 600+ scripts, MP3s and information on hypnosis and hypnotherapists. They also add new scripts weekly. Subscription costs just $12.99 per month or you can save 25% by subscribing annually. The word metaphor is derived from the Greek and literally means "to carry across". A metaphor makes a comparison and way of describing a situation which helps the listener to see a situation in a new light. In NLP metaphors are used "to chunk sideways", moving the listener from one context to another. This can be in therapy or coaching, in group training situations or in management. "Metaphors are not simply poetic or rhetorical embellishments, but powerful devices for shaping perception and experience." Blushing is the result of the capillaries beneath the skin widening. More blood accumulates in this area causing the skin to go red. Chemically speaking, the widening of the capillaries is caused by a release of adrenalin. Blushing is a non verbal display of emotions, triggered by a sense of some kind of threat whilst chronic blushing, or erythrophobia, is thought to be caused by an overactive sympathetic nervous system. Generally blushing is associated with a feeling of inferiority. It is important to note that the conscious part of the mind may know that this feeling is totally illogical and yet the unconscious part may still feel a sense of being inferior. From this, it is highly probable that blushing occurs as some evolutionary mechanism whereby in a social interaction, one shows submission to the other more dominant party. Looking at the animal kingdom, there is certainly precedence for this kind of signaling mechanism. Especially where in a tribe situation, there would be one dominant male, the alpha male. Showing submission in a possibly threatening stuation may well result in survival for the non alpha male. The problem is that this mechanism is no longer relevant to our modern society. I have treated blushing effectively with a ruler method which I found on the Hypnotic World Scripts Service. Under hypnosis, the person sees a ruler standing in the ground with a pointer which indicates the current level of discomfort. Using self-hypnosis, the person learns to lower the level as low as possible as they remain calm and relaxed. The embedded suggestion is that should they begin to redden from embarrassment, all they have to do is mentally lower the pointer, down and down. Their face will then quickly cool down and return to its normal colour. Hypnotherapy always helps to strengthen the ego and reduce underlying stress and anxiety. Like many behaviours that hypnosis treats, it reconditions the unwanted blushing response to the trigger, whether known consciously or not. There is also a download hypnosis MP3 to treat blushing available. While researching treatment for blushing I also found something on surgery. Endoscopic thoracic sympathectomy (ETS) is the procedure that is most commonly associated with facial blushing. It involves part of the sympathetic nerve being burned, severed, removed or clamped. The surgery is predominately used to treat hyperhidrosis (excessive sweating, especially of the palms), but it is also used to treat facial blushing. SSRI drugs (Selective serotonin reuptake inhibitors) or Beta-blockers are also prescribed, sometimes with side effects such as weight gain. The only side-effect with hypnotherapy is a relaxing, enjoyable experience. Waking hypnosis is a state of mind in which there is no difference between being hypnotized, with the eyes open or the eyes shut. The state of mind is the same. Waking hypnosis is a state of hyper-awareness or concentrated attention. As a result, there are not the distractions in waking hypnosis like in the conscious state. It can be used very effectively if efforts are concentrated on a single project. For instance, if one has an intricate or exacting task to do, he may do it better by using waking hypnosis. This can mean playing a better game of golf, bowling a better game, studying with more retention and recall, or writing a letter, poem, story or scientific document. Waking hypnosis can mean a greater command of mental and intellectual capacities at any given time with correct preparation and suggestion. Those who use it cover a wide swath of endeavour, from weight lifters to oral surgeons, from engravers to gymnasts, from real estate salesmen to lecturers and teachers, from billiard champions to actors. Waking hypnosis means being tuned in and turned on to a specific project. As in the case of hypnosis generally, there seems as yet to be no clearly defined scientific explanation or study as to precisely how waking hypnosis works and how its mental alterations function. We know that it can be a self-directed state, or one directed by a hypnotist but exactly what in the way of brainwave alteration or energy change takes place has yet to be scientifically studied and documented. There are persons who do better than others in waking hypnosis. We cannot explain, for example, why a subject who in the conscious state can only do ten push-ups can consistently do fifteen in waking hypnosis. We cannot explain why it is that intuition, concentration and inner control of one's talents are increased and augmented with waking hypnosis. All we know is that it does work, but not "how" or "why." Similarly, expanded awareness is a technique of focussing on a spot above the normal height of vision then allowing the eyes to expand left and right to take in a wide range of awareness. It is a useful learning technique at seminars or in lectures.